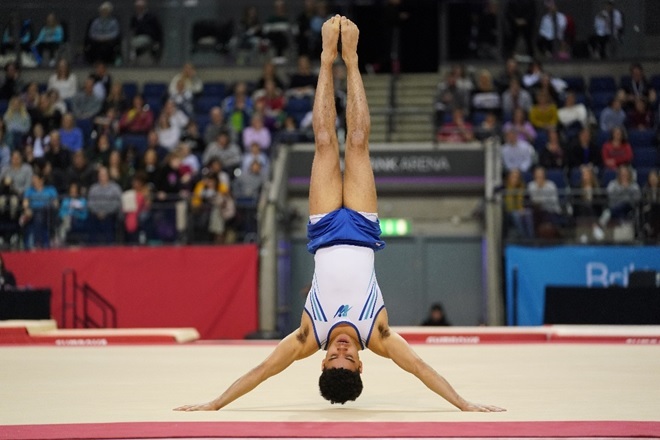 James Hall has been crowned all-around champion at the British Gymnastics Championships held at the M&S Bank Arena in Liverpool as well as winning the title on Rings and bronze on Pommel. James dominated the men’s competition from start to finish, scoring consistently well for 84.850 all-around. 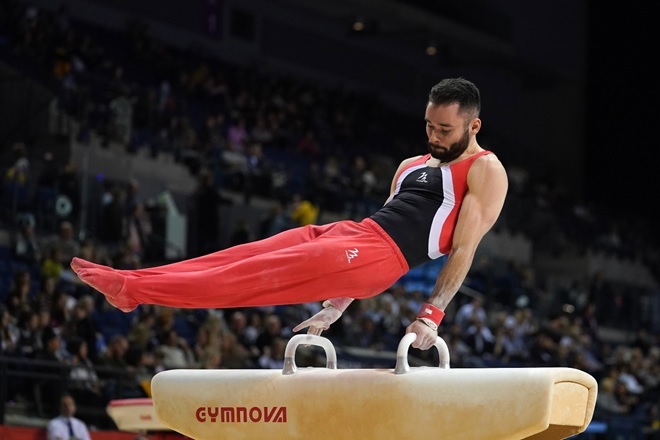 His strength on each apparatus was evident, with his High Bar routine including four huge release and catch elements and his Parallel Bar routine particular highlights. After scoring 14.550 on Pommel, his penultimate apparatus, the result never looked in doubt. On Sunday, James was in the Masters finals for both Rings and Pommel being crowned champion on Rings and having to count a fall on Pommel but recovering well for bronze. First year senior Jamie Lewis, from Woking Gymnastics Club, placed 3rd in the all around final and qualified for the Masters Floor and Rings finals on Sunday. Jamie just missed out on medal position on Floor placing 4th with a score of 13.550, same as Adam Steele in 3rd place but Adams’ execution score being higher. On Rings, just 0.175 behind James Hall in 1st place, Jamie added a silver to his collection with a score of 13.650. A massive well done from the South East region to all gymnasts and clubs. To read more about the championships, please click here.